You are here: Home / Kids in Sports / How Does Perfectionism Hold Back Kids in Sports? How Does Perfectionism Hold Back Kids in Sports? They try to be too perfect with their performance. They try to have the perfect game or match. Don’t get us wrong… There are some advantages to perfectionism. Perfectionist kids have a strong work ethic, are committed to goals, and are willing to learn and improve. These great traits often disguise this ‘mental roadblock’ to success. Kids who try to be too perfect can undermine their performance in many ways. They often expect too much of themselves, are afraid of failing, feel anxious, are frustrated, and worry too much about results. This can stifle their talent. For example, a perfectionist athlete unknowingly embraces very high expectations. When he does not achieve his expectations, he feels frustrated and thinks he’s failed. Perfectionists think that maintaining strict expectations is a good thing. They believe that the only other option is to accept mediocrity, which they are not willing to do. If kids cannot reach their expectations, then become frustrated and lose their composure, they won’t achieve their full potential in sports. 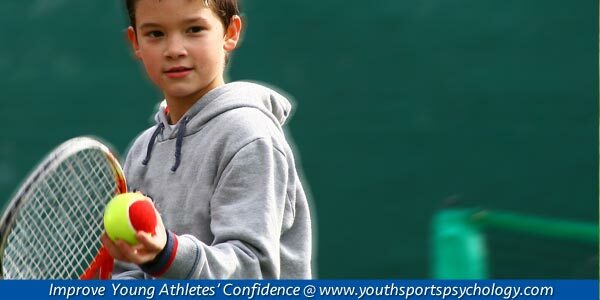 In our new program designed just for sports parents, we teach you how to help your child cope with high expectations and perfectionism. You also learn 13 other important mental game lessons designed to help ensure kids’ success in sports. Our new program, ‘The Ultimate Sports Parent: A 14-Day Plan for Kids’ Success in Sports‘ teaches you to help your child perform without the burden of expectations and perfectionism. We suggest that you grab your copy today at our special introductory price. But don’t delay. The first printing will fly off the shelves when we release this program to the general public. P.S. Stop guessing what to say to your child to boost her confidence and success. 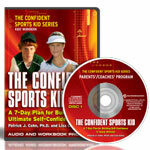 We teach you the 14 most important sports parenting lessons with our easy-to-follow workbook and CD program. Plus, you get four special bonuses all for a small investment of $89.00 for a limited time only!